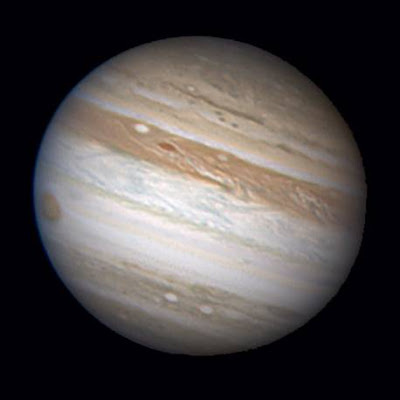 Jupiter will be close to Earth for this month of September and it will be especially close to Earth on 2oth September. Jupiter will be closer to Earth again not before year 2022.I hope that viewers will be able to have a beautiful view of this awesome sight. North Americans can view Jupiter in the east shortly after twilight. I feel Jupiter and Saturn to be somewhat interesting Planets of all the other after our beloved Earth. Can we see it all of September or is there any particular date? North Americans will enjoy it the sight anyways but howbout view from our place... do you reckon Jupiter can be seen from India? Visit www.ournewplanets.com there is latest article and lots information on how to see jupiter with naked eye presently September, 2010. Your work is really appreciate-able. Your perspective is very excellent. Thanks for put on view this valuable information. I have the benefit of stay. Wow..Really great.Thanks for sharing useful information. This is very interesting topic for, actually I always try to find about Geology, I listen, Jupiter is much larger than Earth, approximately 1300 earth is equal to 1 Jupiter, so its will be very great moment for me.